IT: Chapter One and IT: Chapter Two director Andy Muschietti already has another big project on his slate at Warner Brothers: a live-action adaptation of the incredibly-popular action-horror manga and anime Attack on Titan. Variety is reporting that the hit Kodansha Comics manga/anime franchise is headed to Hollywood, finalizing a deal to get Hajime Isayama’s series a big-budget, big-screen version that it deserves. Andy Muschietti, a horror director, seems like a natural fit for such a project, given the presence of various hideous monsters and visceral action setpieces, and directing a breakout hit like IT is bound to allow him a lot of clout over where the movie adaptation will take the series. The series itself revolves around a group of people walled off from massive man-eating entities known as Titans, who attack the last known encampment of human beings in a post-apocalyptic world. 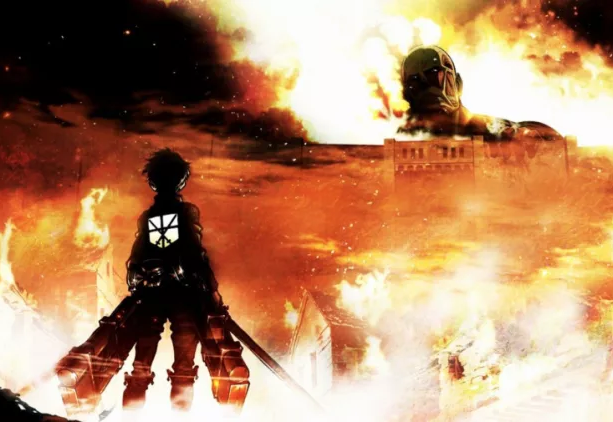 One adventurer, Eren Jaeger, tasks himself to kill all the Titans when he enlists in the Survey Corps, a group of soldier who travel beyond the city’s walls to kill Titans and salvage whatever supplies they can. But Jaeger soon discovers a secret about himself that will change everything, as unpleasant truths about what happened to outside world come to light. The film will be produced by David Heyman (Fantastic Beasts and Where to Find Them), Masi Oka (who produced Netflix’s Death Note adaptation), and Barbara Muschietti (the director’s sister who helped him with the IT movies, along with his first film, Mama). The American adaptation of the series will follow a pair of Japanese live-action movies made in 2015 by Toho, albeit with mixed to negative reception from fans. With the series still in its heyday in terms of popularity, it seems like now would be the time to adapt this franchise, and if Muschietti is able to bring to this series what he was able to bring to IT, then we may just be looking at the first live-action anime adaptation that could hit it big in the United States. Attack on Titan is in development at Warner Bros., but it does not yet have a release date.